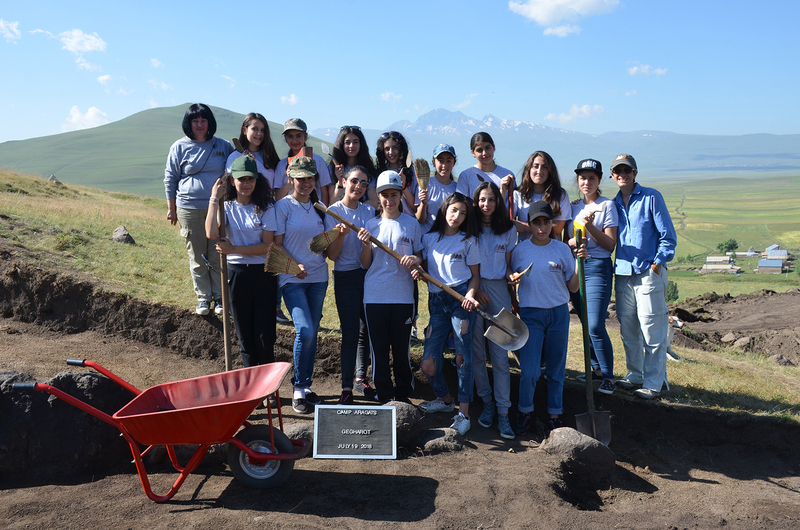 Camp Aragats, an archaeological camp for girls, kicked off its second season this year. Learning from last year’s pilot program, we expanded the camp to 15 children in order to broaden our impact, and diversified the group by opening it to girls from different towns and villages. Campers from Aparan, Gegharot and Yerevan discovered the science of heritage through hands-on sessions on excavation, architectural drawing, drone flight, ceramic restoration, zooarchaeology, bioarchaeology, paleoethnobotany, and more. The generosity of the Friends of Project ArAGATS. And by the warm hospitality of the people of the Tsaghkahovit Plain and Aparan Valley, Armenia. ArAGATS Data Portal is: Online.